Earlier this year, Luke Proctor and I had the privilege of traveling to Monterrey, Mexico to encourage and observe our partners there. Here is an update on the highlights of their work. The Lord is doing many great things through these men! Oliverio Velez: He planted his fifth church in a suburb called "Garcia." The church now has seven families, has had six baptisms in the last few months, and will soon have a new pastor, who will be sent out from Croc Church, the first church that Olivero planted. 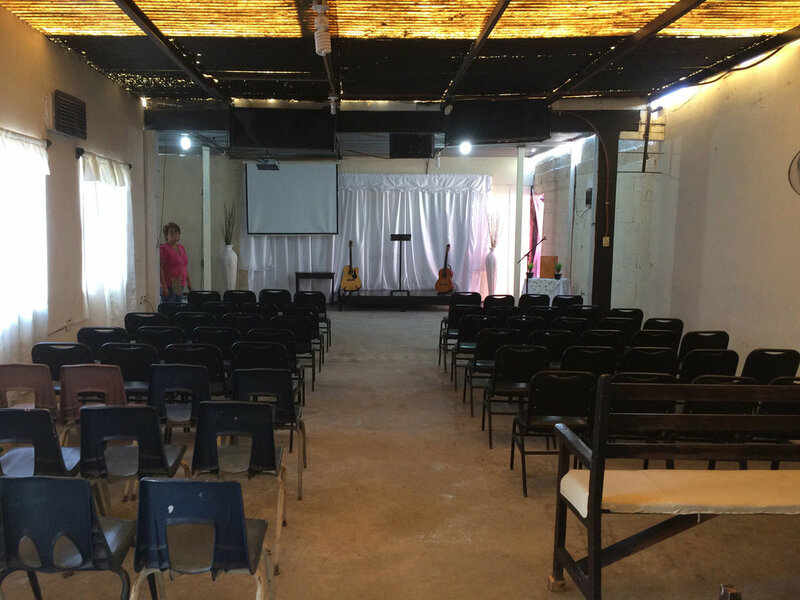 Samuel Velez: Samuel and the men from his church, called Apodaca Church, did some work in order to expand their worship area last fall. After that, the church grew from 80 to 120. Then they made some more modifications and it grew from 120 to 150. They are very excited by how quickly God is growing their church! It is definitely a situation of "if you build it, they will come." Alfredo Valdez: Alfredo's church, Guadalupe Church, hosted a youth summit for 400 students in early April. The youth group from his church led the summit, while he coached them through the process. Antonio Gomez: Antonio's Bible College Program, IREB, is at its highest enrollment ever. They expect to have 10-12 classes with 20-60 students each at 5-7 seven churches this year. (The goal of IREB is to bring the Bible College to the local church to train pastors, elders, and other lay leaders.) He is also working to pass his medical ministry off to young medical professionals in his church, which called Del Sur Church. 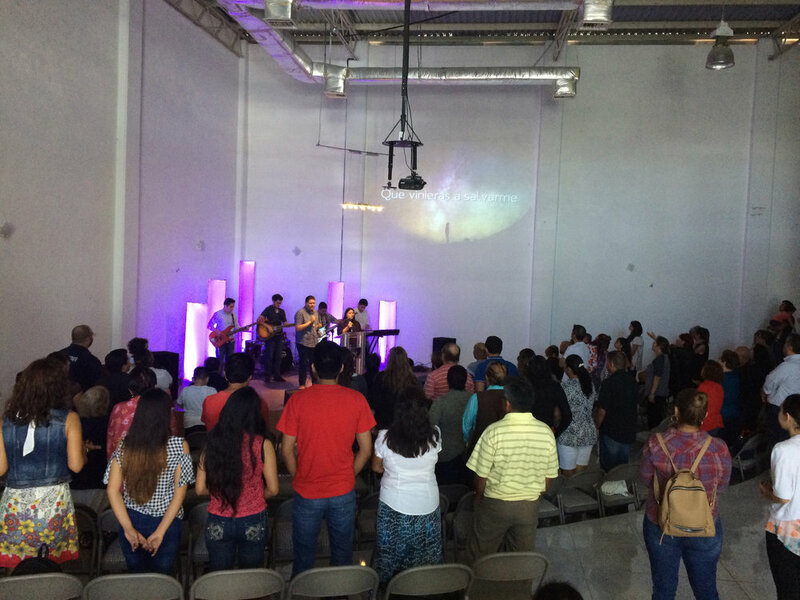 Worship Events: There were three worship gatherings in Monterrey on Saturday, April 14. These events involved almost 750 people from 15 different churches. Our partners played various leadership roles in these events. It was encouraging to see that the churches there are unified enough to come together and organize events like this. Luke and I were privileged to attend this gathering at the Del Sur Church. Pray for the health of our partners and their families. Pray for new churches in the suburbs of Garcia and Juarez. Pray for the new church planting association. Ask that the churches involved would be unified in vision and practice. Pray that God would continue to open doors for our partners so that they could continue to plant churches and reach lost people. Pray that God would provide for the financial needs of the churches and pastors in Monterrey. Pray that God would continue to give wisdom to the leaders of Plainfield Christian Church so that we can help the churches in Monterrey in the best way possible. You're welcome to contact me at rweaver@plainfieldchristian.com if you would like to learn more about the work in Monterrey! Newer PostWhy does gender matter? Older PostWhat do I do if I commit a sexual sin?